Have you ever heard of the “Earthship?” If not, you are not alone. This amazing creation is the work of a man named Dipa Vasudeva Das. 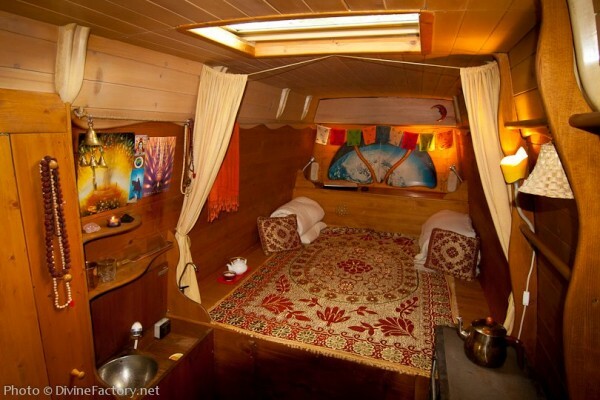 He took a regular high top cargo van and turned it into an exquisitely bohemian tiny cabin on wheels. 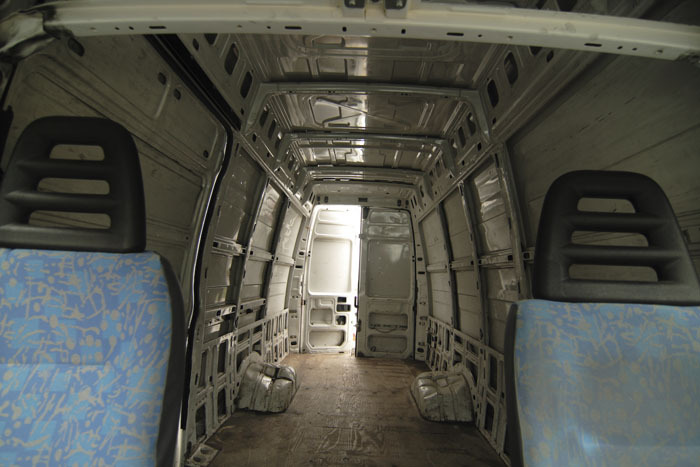 He started with a blank slate — a stripped down van. 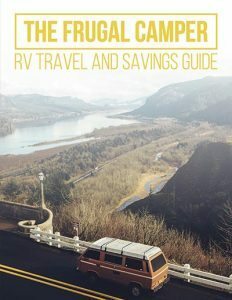 He began to work the magic that would create the beautiful motorhome that we see today. The first thing that he did was frame the floor. He then added various drawers and other compartments for storage. 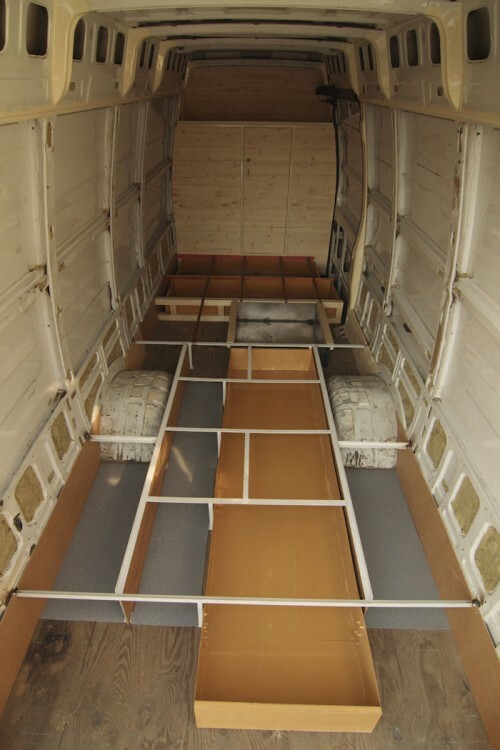 His next step was to frame the interior walls and add the wood paneling. Once the paneling was complete he added comforting touches of home. The interior is a peaceful sanctuary with Hindu bells and other yogic decorations that infuse personality into this rig. 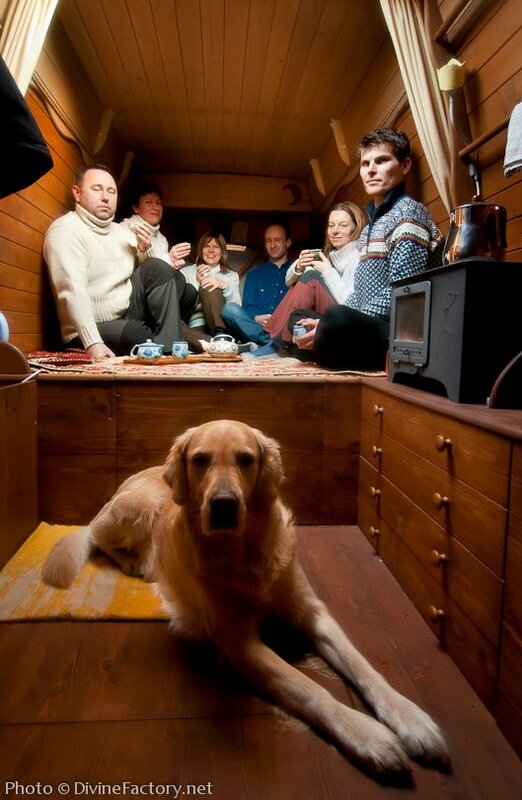 This DIY motorhome also has a skylight where Dipa can gaze on those clear, starry nights. 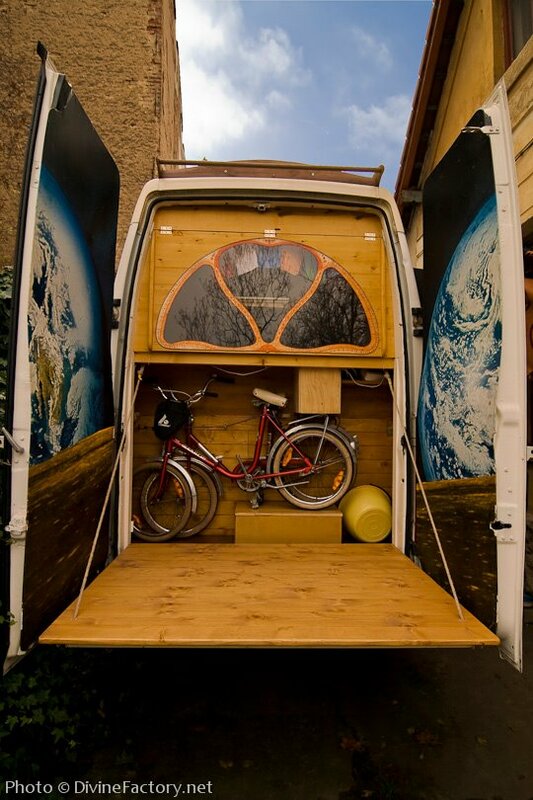 The rear of the van opens up to reveal a huge image of the Earth. It also features a couple of storage compartment for his bike and other personal items. 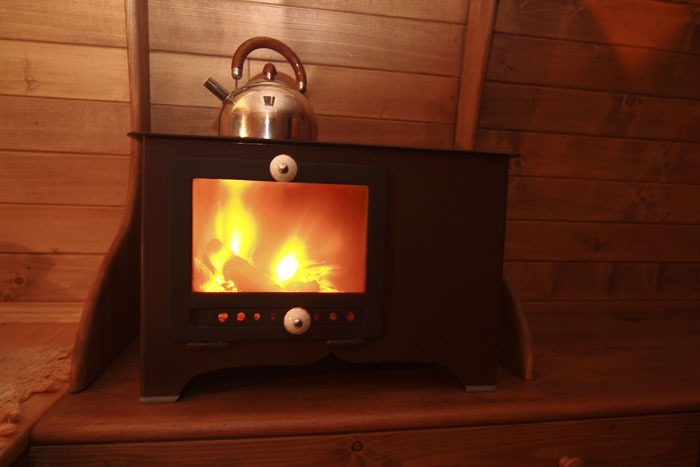 The interior is filled with many creature comforts like,a wash basin, stove, and a table. There’s also a little work area built into the passenger dashboard as well as a well organized shelf for the canisters that hold his favorite tea. With all these items, there’s still enough room in the van for Dipa to enjoy his tea with up to six of his friends. 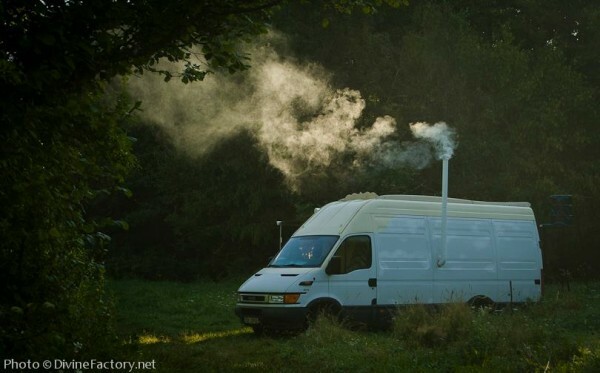 Every inch of this handmade motorhome serves a purpose. There is a spiritual philosophy that inspires Dipa’s work. This is what makes the final result that more special. Dipa was able to infuse every inch of his beautiful tiny home with his personality. He even added a detachable hammock to relax in. What do you think of the “Earthship?” Do you want one to make your own DIY motorhome? Leave your thoughts in the comments section below.